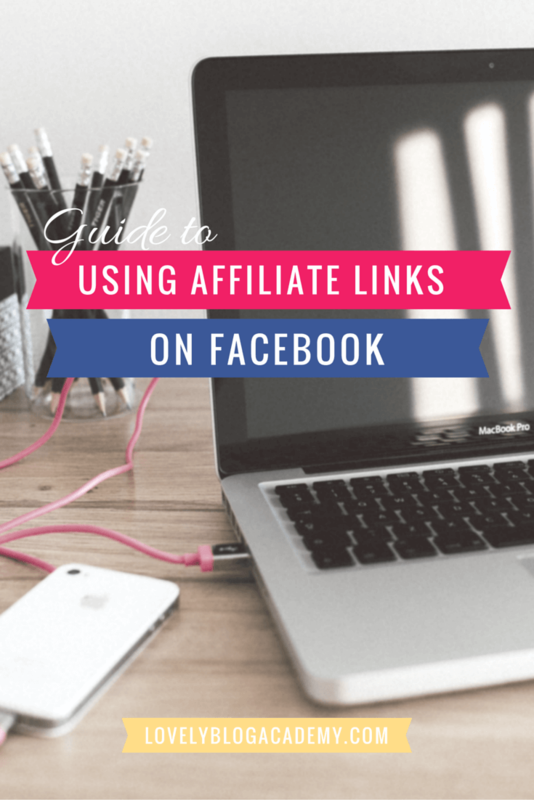 In this guide, we share plenty of information about using affiliate links on Facebook. We cover a range of topics, including whether or not Facebook officially allow affiliate linking, how to disclose your affiliate links correctly and tools we recommend. HOW do I promote affiliate links on Facebook? 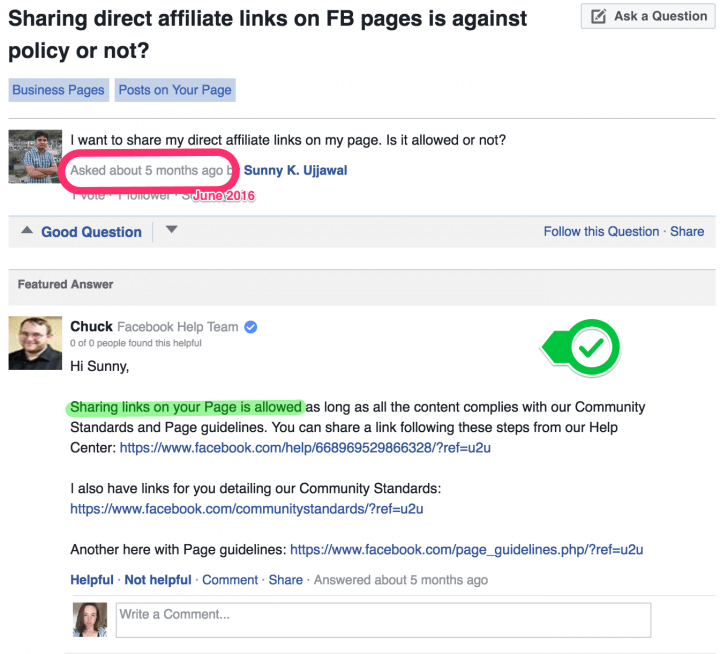 How does Facebook’s Branded Content Policy affect affiliate links? 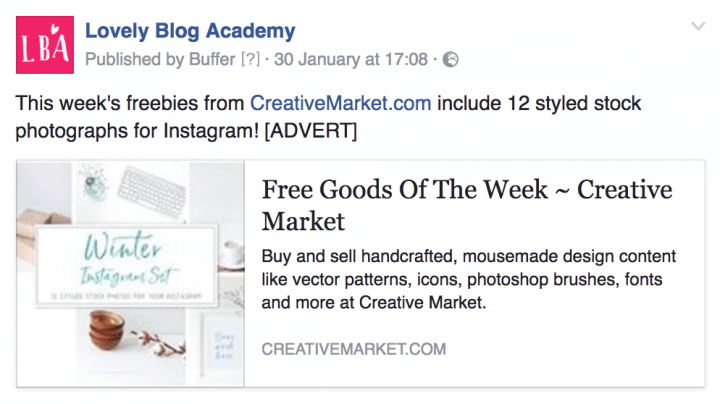 Can I use my affiliate links in Facebook ads? 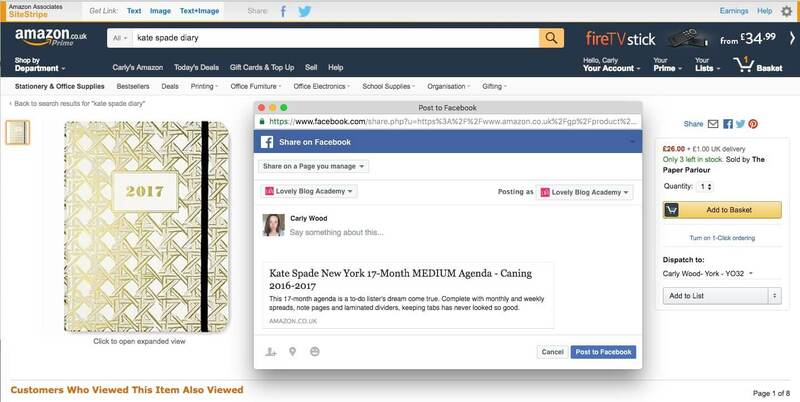 Can I share Amazon affiliate links on Facebook? 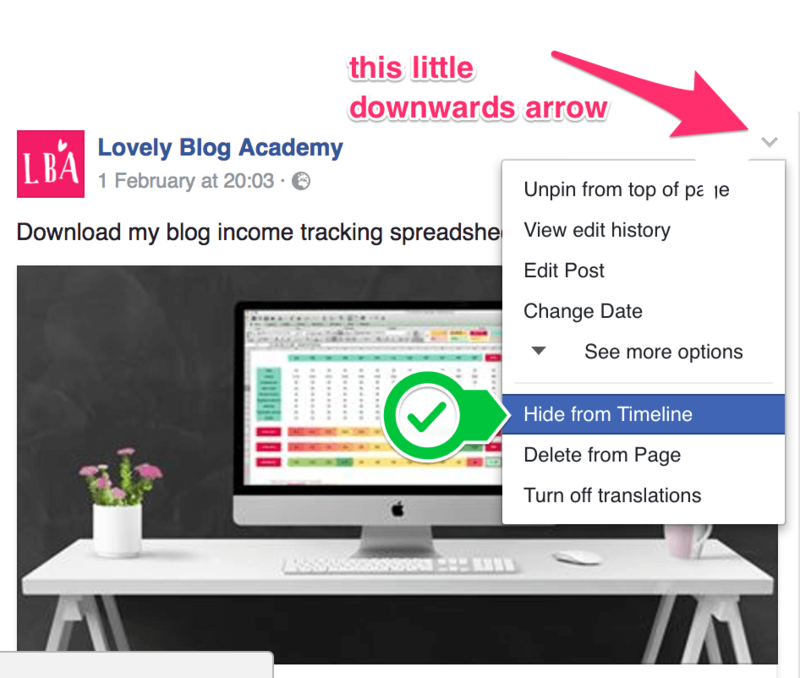 Do you recommend a tool for posting affiliate links to Facebook? 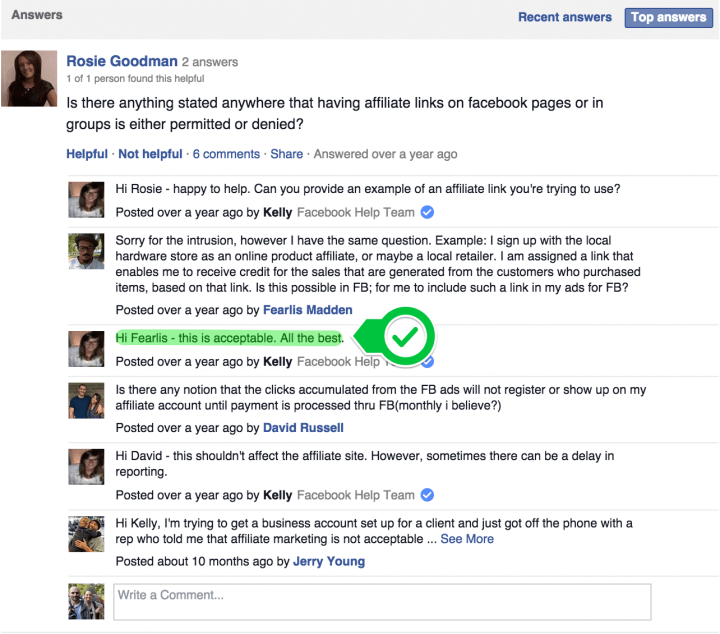 Affiliate disclosure on Facebook – what do I need to know? Ask & answer – comment with your question. I’ll try and help! (but read through the following information to make sure you’re fully briefed). In order to find this answer, I had to check Facebook’s help centre. Here, I searched for questions like, “are you allowed to do affiliate marketing on Facebook?” and “what are the rules and guidelines for posting affiliate marketing ads on my Page?”. Here are the responses from the Facebook Help Team. Each response illustrates that Facebook DO allow people to publish affiliate links on their Pages. The second poster “Fearlis” explains affiliate marketing, to which the Facebook Help Team member replies, “this is acceptable”. Both examples above illustrate that affiliate marketing is permitted on Facebook Pages and in groups. Worth knowing: while Facebook allows people to use affiliate links, you are not allowed to use your Facebook for multi-level marketing, get rich quick schemes or to post “other money-making opportunities that offer compensation for little to no investment”. This is the exact step-by-step method that I use to promote affiliate links on Facebook. First: Find something to promote. If you run a health and fitness blog, you may want to recommend a few supplements, for example. If you run a parenting blog, maybe you want to share an offer at your favourite kids’ clothing store – the options are limitless! Then, sign up for the company’s affiliate programme if you haven’t already. Log in and create an affiliate link. No clue how to do this? Contact the manager of the affiliate program you signed up with. They’ll walk you through it (I actually have a guide for Linkshare here, though). I like to trim the long affiliate link down using a URL shortener. I have a whole guide about that here. Then, create a graphic or write a text post to share with the link. Tag the brand you’re mentioning and disclose the relationship. Voila! That’s it! You’re done. You’ve just posted your first affiliate link to Facebook! 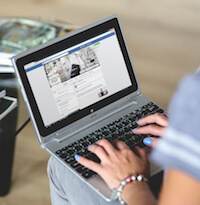 How does Facebook’s new Branded Content Policy affect affiliate links? I wrote the information on this page BEFORE Facebook published their new Branded Content policy in May 2016. But I’ve updated this page to help bloggers who wonder how the policy affects them. The question on every bloggers’ lips: does this include affiliate marketing? The short answer is that it’s unclear! Facebook does not mention affiliates directly. Amy Lynn Andrews decided to ask Facebook directly. She published a chat transcript from a conversation she had with one of their reps (see halfway down this page) who confirms that posting affiliate links on your Page will NOT break their new policy, as long as you properly disclose the relationship and tag the company you’re featuring. Amy: […] just to be clear, it’s OK to use my affiliate links (Amazon or otherwise) in my posts. I just have to have (a) proper disclosure and (b) I must tag the company? Is that correct? Just a note: I checked Facebook’s Advertiser Help Centre again in June 2016. This was a few months after Facebook announced their Branded Content update. I found a question about affiliate marketing with an answer from a company rep . The Facebook rep confirms that it’s OK to share links if you adhere to Facebook’s Community Standards and Page Guidelines and mentions nothing about the Branded Content Policy specifically. As you may be aware, Facebook has a number of strict rules and regulations in place for their advertising network. The guidelines do not mention affiliate links specifically so you may be unsure whether or not they’re permitted in advertising campaigns. According to my research, the simple answer is yes, they are allowed. Note – the products in question MUST comply with Facebook’s advertising guidelines, otherwise, your advert may not be approved and in the worst case scenario, your advertising account may be permanently banned. […] it’s important to understand the foundational principle of Facebook’s guidelines. For them, it all comes down to creating a great user experience. In other words, Facebook wants to protect all Facebook users from feeling lied to, “sold to,” bullied, harassed…you get the picture. […] they’re not letting people make bold, specific promises to our audience about concrete things (like saving money, making money, losing weight, etc.). And they’re not letting us use highly specific imagery that suggests these things (like images of idealized body types, huge stacks of cash, etc.). So, Twitter is named as an example, but Facebook is definitely a social networking site. If you search Facebook’s help centre, you’ll see they’ve answered quite a few questions on the topic of Amazon affiliate links. Several different members of the Help Team confirm that Page owners can post Amazon affiliate links. See here for more details. Yes! But just a disclosure first: I’m going to link to the tool with my referral link. Seeing as this entire article is about affiliate marketing, I’m sure you understand that referral links support my site, which means I can write more useful guides like this! For my full disclosure policy, click here. The tool I recommend is Skimlinks. If you run an active Facebook Page and want to post affiliate links to it regularly, consider signing up for SkimLinks. It is my monetization tool of choice and I use it every day. Commissions can be MUCH higher! They have so many publishers signed up that they can negotiate good rates for us! 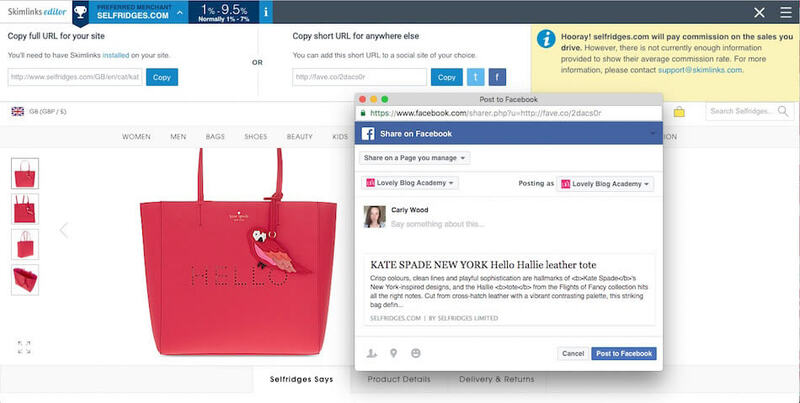 In the screen capture below, I’m sharing an item from Selfridges.com to Facebook using the SkimLinks browser tool. When you click on the Facebook icon, the “share” window pops up. You can choose which Page to post on and add a message. (Note: The preview below doesn’t show the product image with the link, HOWEVER, when I posted it, the image was there too). Firstly, you need to know that I am not a lawyer! In addition, I don’t live in the USA where the FTC guidelines apply. However, I have researched this topic a little. 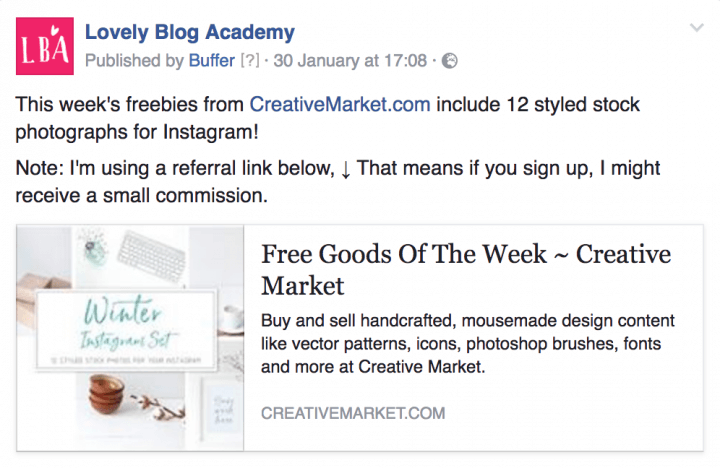 In short, you DO need to disclose affiliate links on Facebook. So that means letting your Facebook followers know that you may receive compensation if they click the link you’re sharing. The disclosure ought to be “clear and conspicuous” and the words “affiliate link” by themselves might not be adequate. I found all of that information in the FTC’s endorsement guide is a great place to start if you’re trying to wrap your head around disclosure. Check out their affiliate marketing and social media sections specifically. Note: I’m wondering whether or not you need to disclose affiliate links in Facebook adverts. In my opinion, no. Facebook already marks those posts as sponsored. Please note: the information given here is advice based on research, I do not speak on behalf of Facebook and I certainly don’t guarantee that if you post affiliate links, your Page/ads account will not be banned or flagged as spam. I can say that I have personally used affiliate links on a number of Facebook Pages and in adverts without a problem to date. Also: In the comments below, Madhu rightly points out that some merchants do not allow publishers to post links to social media accounts. Very true (although rare in my experience.) You should always check the merchant’s T&Cs in the affiliate network or email your account manager to double check if you’re unsure. Thanks for the article. Yet, I cannot promote affiliate programs from Clickbank for some kind of reason. Each time I tried, my link gets blocked. My guesses is some networks Facebook doesn’t allow to be promoted. Hi Jordan, thanks for commenting. I didn’t realise this, as I’m not a big clickbank user. However, I will look into it and see if there’s a workaround. I wonder if masking URLs will work? I suspect not, but I’ll run one through pretty links and see if that does the trick. Cheers, Carly. I’ve tried posting my affiliate link to a particular site in a group I own, but it trims off the affiliate link parameters in the URL and just links to the main site. I’ve tried a redirect through my own domain and a URL shortener, and neither of them worked either. I am sorry I cannot help with this Scott. I don’t have this problem myself on Facebook pages (though groups might be different – I don’t have one to test in). I’d check with the network you’re using, perhaps it’s something on their end or the merchant’s end? Recently i shared some short affiliated links from viglink on FB page but those were not affiliate after sharing. On same page when i shared Skimlinks affiliated links they were working fine. However, I’ve seen nothing more recent from them on the topic. I’m not a Viglink user. Do you think you’d be able to email their support team & report back on the response for us? Perhaps it’s the type of link they’re using, or the landing page they link to? As I mentioned above, Facebook do not allow users to post multi-level marketing or get rich quick schemes to their page. You’re also not allowed to post “other money-making opportunities that offer compensation for little to no investment”. So does this include opportunities such as online surveys and apps that help people earn extra money? 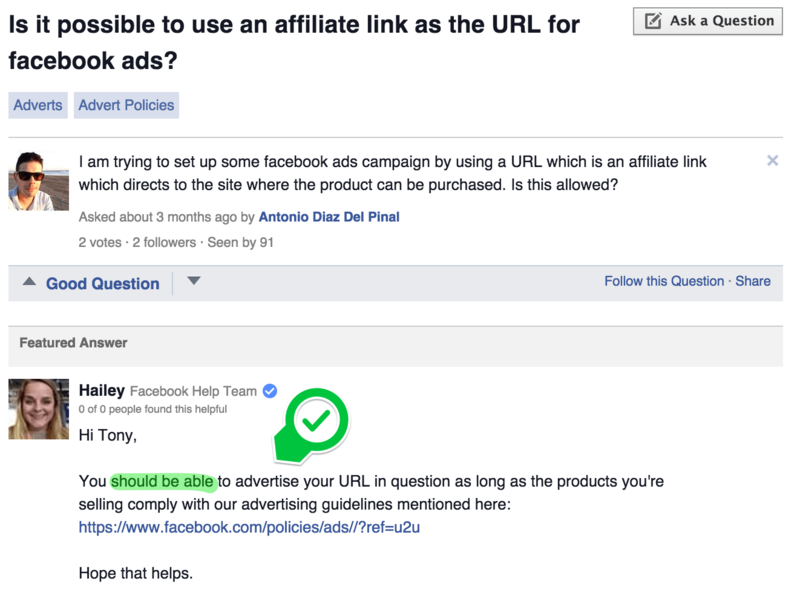 It’s not the question on facebook allowing the affiliate links. it’s the policies of affiliate networks. If amazon doesn’t encourage it, you are not allowed to promote link directly on facebook page or anywhere els..
Today, I typically link to fashion and beauty brands using RewardStyle and SkimLinks (both monetization platforms) and I’ve personally had no issues with either. In fact, both tools have Twitter and Facebook buttons and encourage you to share your affiliate links on social media. But a warning to everyone reading: Madhu is right. If you’re using an affiliate network like Linkshare or Affiliate Window (etc) it’s a great idea to double check the brand’s policy before sharing on social. Though, just to confirm for anybody reading: Amazon DO allow users to post to Facebook (and even have a tool to make it easier). I’ve shared more info in the article above. I have an affiliate link that I boosted as a advertisement on Facebook and it seemed to be working. At the present moment its advertising. Pleased it’s working for you Grace, and I’m happy you found the post helpful. Kindly give feedback on it. Thanks! We don’t allow Associates to use keyword bidding or other paid search advertising services like Google AdWords, Yahoo Search Marketing or Microsoft adCenter to send users directly to the http://www.amazon.com website. You are absolutely welcome to boost your Facebook page or other social media, but you would not be able to boost affiliate links or anything that sends users directly to Amazon.com. However, you’re still welcome to advertise your own website through these programs. In order to receive credit for the advertising fees, your customers must actively click on a link on your site to direct them to our site; you aren’t permitted to automatically forward customers. It was a nice read. Thanks for the informative article.Have you tried posting an affiliate link in a Facebook group? I am a bit apprehensive about it as the answer that was given was over a year ago. Facebook has been evolving and changing policies on a frequent basis. Has anyone worked on sharing affiliate links in groups to get traffic and clicks? I intend to make a Facebook group where I can promote affiliate links. I am not sure if it is going to work or not. If you’re unsure about posting links into groups directly, I suggest creating a page on your blog/website with more details about the product/service you’re recommending (like a landing page) and linking directly to that. You could always phrase it like “here’s my recommendation, find out why I love it here: yoursite.com/landingpage”. Hi! this is very helpful. I am new at Affiliate marketing. Recently I joined as an Affiliate of a company and started promoting their product in facebook groups. Unfortunately, members of the group started marking spam some of my posts, removing the preview and even bullying and shaming me in the group. They tell me that I need to stop it cause it’s out of decency. Then I deleted all my posts cause I’m afraid if they will banned me from the group and even in Facebook. That makes me scared. Then I think of other ways. I started sending private messages but to my dismay one of the member announces to everyone that I’m doing affiliate marketing and that he recommend to delete my post. I thought of giving up but when I read this I felt relieved. Thank you very much. I will try your advice here and see if it works. Great article!!! This is a great article! Very helpful!! But just one question.. How do I put a proper disclosure on facebook for amazon links and tag the company? Can someone give an example of an appropriate way to put this? To tag the company, you simply use the @ symbol, like @amazon for instance. Write WHY you love and recommend it. Your site should have the proper disclosure on it anyway. Link to THAT instead of Amazon directly (you’ll find the Organic Reach is probably better anyway). You could even do a sales/latest offers/curation of things I love page and link to that. Can you please show me an example how to post affiliate links on FB fan page. I mean how to mention that it’s an affiliate link etc. Perfect for designers and bloggers! I’m really loving the free font – which is your favourite? I think you could also share a link post on Facebook with your disclosure in the description. I’ve also read that the FTC think that the words “affiliate link” might not be sufficient because people might not know what one is! So maybe even #ADVERT or #SPONSORED might work better. Disclaimer: I’m not a lawyer… I don’t work for the FTC etc. etc. So I am not qualified to tell you EXACTLY what will be deemed ‘sufficient’ in accordance with their guidelines. And I don’t even live in the USA! Great information! And I’ve found the rest of the comments/responses helpful too. The one thing I can’t seem to figure out yet is: I understand that I can promote a link on a Facebook post, but can I add affiliate products in my Facebook page’s “SHOP” tab??? The link would go directly to the company so I don’t think it would be a problem. However, my big concern: even though the product photo/description/link are all legit and come directly from the company, the top corner of the product says, “[product] SOLD BY [my Facebook page]”. I’m technically not selling the product, rather I’m simply wanting to provide the link in hopes of getting a commission. Does that make sense? I don’t want to be seen as the seller and get myself or the company in trouble. This is something I don’t have the answer to BUT have wondered myself! A short while ago, I Googled this topic and couldn’t find any information. Perhaps it was too new. I’d love to do it on my niche site. I ought to contact Facebook support and get the lowdown. Do let us know if you find out first! I’d LOVE to know this too. I just tagged a product and didn’t realize it would look this way. There’s no convenient place to mention it’s an affiliate link, so I disclosed that in the name of the product. I don’t want to do anything that isn’t kosher here. Please let me know what you find out! Thanks for providing this article and keeping it up to date — very helpful information! I was wondering, can you provide an example of what a post on a Facebook page with an affiliate product would look like, and specifically what one might say to give a disclaimer within the post? I think I’ve seen some people who literally just put “(ad)” at the end of their post description — is that adequate? In order to comply with FTC guidelines (assuming you’re in the USA) your disclosure would need to go before any affiliate link. Hi Carly.. I hope u r doing well.. I am from india and I have successfully qualified for Amazon affiliate marketing program. I just want to know how to share my affiliate amazon product to my Facebook page which I have registered with Amazon successfully. I have searched on Google. 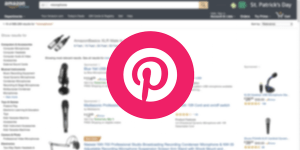 Please tell me is that correct way and how should my post look like after update… Will it look like a same as other posts… Please can you show some video of latest dashboard of Amazon that shows how to post please…. I’m not really sure what you want me to help with? I can’t give you video of the latest Amazon dashboard because I don’t use it. I make all my Amazon links through Skimlinks. Please share a link one of your facebook affiliate post. so that we can easily understand, how to post affiliate link on fb and what to mention on it. Hi again.. Please reply.. I need your help please… I recently came to know about affiliate marketing and i search about it and decided to join Amazon affiliate marketing as I have a Facebook page with over 1 million likes and i am from india. Now my issue is that I received an email from Amazon saying that I will be benefited only when Indian buys a product through my affiliate link. And I check on Facebook page that only 36% members are from india on my page.. It’s on number 1 but I want you to help me.. Is there any other way for me. Any suggestions. Please.. I am a new here and I hope I get a help.. Please tell me what should I do now? Please I will be very thankful.. The answer is to use a geo redirect tool. If there is an appropriate product on Amazon.com or Amazon.co.uk (or any other local Amazon site), it will redirect your visitor accordingly and you’ll still earn a commission. I personally choose to use Skimlinks (my referral link → http://fave.co/2i0m5yy) They also have 20,000 other affiliate programmes (like eBay, for example). So you might find they’re the best option. You don’t have to sign up with all the programmes either. Get accepted to Skimlinks and you’re automatically joined to all 20,000 (including all the ones that might have rejected you via other networks, or that are usually invite only). Great article, just wondered if you could help with this, I have noticed that facebook now uses its own “In App Browser” so when people click my links rather than it open in chrome on the mobile it opens up a facebook browser in the app. So the links contain tracking cookies so if that person goes back within 30 days you still get paid., however if you went back onto booking.com for instance on google chrome on you mobile a day after clicking my link on facebook, would the tracking cookie be stored on the mobile device since the link was opened in facebook. Thanks for commenting – but that question is way too advanced for me! I think we need to ask the developers at one of the big affiliate networks – I’m sure they’ll know. Like I said, bit too advanced for me – but now I wanna know the answer too! I still haven’t found the answer as yet, I have only just seen your reply so will get chatting to the companies I work with! With more people using the in app browser to open links and chrome to go back we could be losing alot of commission ???? The other day, I was reminded that there’s already a lot of ‘leakage’ from sales made on mobile phones because, alarmingly, some brands don’t actually track them!!! So I do wonder if anybody has thought about this app/browser/cookie problem yet!!!! Thanks Jennifer! Looking forward to chatting with you in the Facebook community. I have a few fb pages with over 2.5mil followers. I want to place affiliate banners and ads but want to hide it from my timeline. is that possible? I think the easiest way to do this is to post it like a normal status but then click the arrow button on right-hand-side and click “hide this post from my timeline”. It’ll still appear in your followers’ news feeds but not show on your Page’s timeline anymore. What have you done so far Faruk? HI… I want to promote clickbank affiliate link on facebook ads… but it doesn’t alow me to do so. it states “false and deceptive claims” cannot be processed as m promoting lean belly breakthrough from clickbank..I have created the blog as well stating all information about the product but facebook ads team is been reverting with the same reply. I have tried many times but it doesn’t happen… can you please have a check and lemme knw. please.. Many thanks. Facebook is very strict with their ad network and the promotion of weight loss, diets etc. You can only use certain wording, pictures etc. It can be very difficult to get an advert approved for this topic. You’re probably best asking the Facebook Ads team for feedback or finding somebody with more experience in this area to assist you. Sadly, I do not have much expertise in the weight loss/diet industry. I’m so happy to have found your blog, I’m not much of a blogger and was wondering if I could just have a Facebook page posting Amazon Affiliate links on a regular basis then share those post within Facebook groups to received some traffic as I understand you can’t boost any of the post but you can boost your actual Facebook Page. That sounds fine to me. From my discussions with Amazon, you’ll need a legit website that’s attached to your Facebook pages enrolled within Amazon Associates. So, if you’ve got a page about dogs, a website called JenLovesDogs.com should do the trick. I don’t speak for Amazon though – you should contact their Amazon Associates help team if you’re still uncertain! I would just add that you should use caution when using Skimlinks. They are a great tool for most people/sites but depending on what you’re promoting you could end up losing a lot of money through them, (or any similar service). I was using Skimlinks to promote products from the UK, (I live in Canada), which paid a 10% commission on all sales. However, by using Skimlinks that percentage dropped to 4% due to “fees”. Of course they take a cut off the top for their services which makes perfect sense but I was also losing the Currency Exchange fees. Since Skimlinks pays out in US dollars they take it upon themselves to convert the currency and you’re then charged the conversion rates and fees, in addition to their in house fees. I generated over $20,000 in sales through Skimlinks only to find out I was receiving an insulting 4%. Now, I use only original affiliate links and pocket the full commissions, (I use either pretty link for wordpress and/or domain forwarding to clean them up). Thanks for sharing your experiences and it’s certainly a reminder to do your due diligence with this affiliate stuff! I think it’s worth doing regular audits to make sure everything is set up efficiently. E.g.) checking rates across platforms, double checking fees etc. I think everyone must have a different experience with Skimlinks (and similar platforms) depending on where they live, what they promote, their traffic levels etc. For instance, I promote Nordstrom and they pay 2% on Linkshare. With Skimlinks, I get 10% commission and with rewardStyle, it’s 9 – 13%. For the types of things I promote (fashion, home decor etc) I typically find that Skimlinks etc offer the same baseline commission as any affiliate network, if not higher. I regularly check my top performing merchants in all the networks I’m a member of and log where’s offering the best commission rates for me. I then refer back to this document when I’m working on my content. I probably need to do this a little more often though, as commission rates do fluctuate. Conversion rate fees are certainly worth thinking about too. Being in the UK, since the pound crashed due to Brexit, I’ve benefited from earning a lot of revenue in dollars and having it paid in GBP. Also, I prefer earning in one place and being paid one fee in GBP. (As opposed to waiting to hit the $100 threshold in several different networks and then having to cash cheques and pay the bank fees). I guess it’s what works for you! Thank you again for sharing your experiences and giving us a reminder to be careful and double check rates/fees! This is not a question I can answer for you. But if it were me? I think I’d try both ideas at once, see what works best, then invest more time/money/resources in that area. This page is awesome and rich with helpful information. I wanted to share my experience with posting a Clickbank link in Facebook. I was doing a webinar for my new subscribers and showing them how to create a Clickbank affiliate link. I used rebrand.ly to shorten the url and post it in Facebook primarily to demonstrate how to use a url shortener.. The affiliate link was instantly disabled by Clickbank. It clicked to a page that said, “This site is no longer in service or has been disabled due to a terms of service violation”. It did not seem to be a problem on Facebook’s end. It seemed to be a problem with Clickbank. 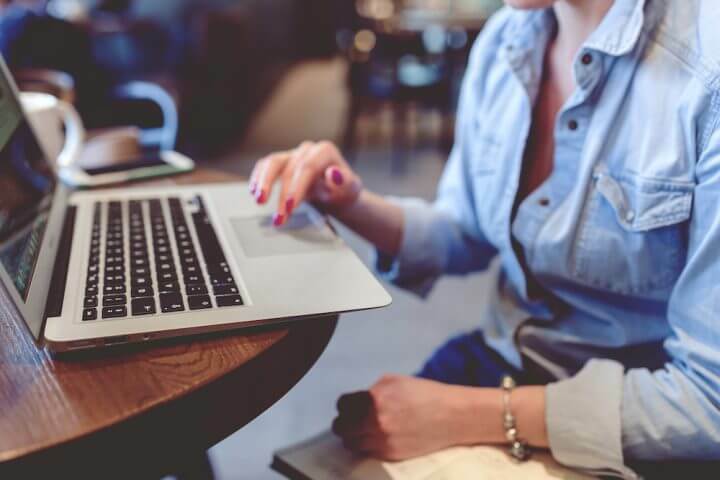 It ended up with me demonstrating in my webinar, how quick and easy it is to create a simple blog post, embed a video that demonstrates the product and some content from the affiliate tools of the product and create clickable text that goes to the affiliate link. Next, I just posted the link to my blog post into my fan page and the whole thing was all set to get me commissions. Now I have to review Clickbank’s terms of service again to see what I missed from the first time I saw it. They might have added some things over time. i am using amazon for affiliate marketing so tell me if i can post a image or video of a product which i have chosen for the affiliate marketing in my facebook page? and also tell me that if it is necessary to disclose like” i am getting a commission if you make purchase ” instead if i disclose like” click to the affiliate link below” it is okay? and one thing more if i can use the affiliate link of branded products like nike etc from amazon to my facebook page? Thanks for the article. I’ve just started to post Ebay affiliate links on Facebook. My Ebay Partner Network stats shows click-throughs but no sales. I’m just concerned that they MAY be clicking through to purchase but they have to login into Ebay again. I’m guessing most users will note the name of the item and then search the product via their Ebay app. I have done this myself in the past. This means no commission. I’m just wondering if you know how to get an Ebay affiliate link to open up via the users Ebay mobile app? Thank you for posting this article.. Hoping you will post more article on this topic . I have question for you ; I have a 10 k plus likes facebook page?? I want to use this page for affiliate marketting ?? Is this possible to boost the affiliate link post ?? Hoping you will reply ..
OK so boosting the affiliate link is OK with Facebook. However, most MERCHANTS don’t like it (Amazon do NOT allow it). So check first! The easy way to get around it: Make a page on your blog with the offers on & boost that link instead. 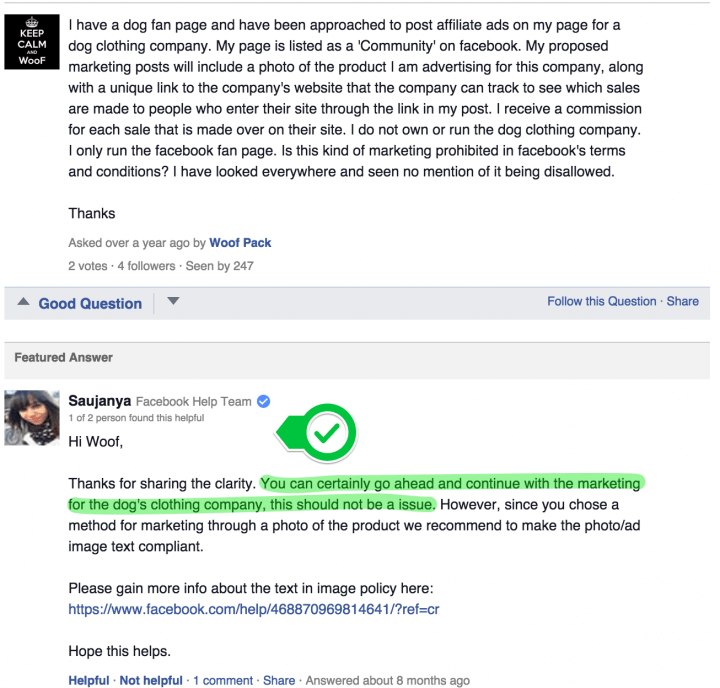 I really appreciate your thorough article – it exactly answered my questions and allowed me to execute on a campaign much faster than if I had to hunt all around Facebook’s abominable Support site for an answer. Thanks for this. I’m just starting to get more involved in using affiliate links (on my blog and social media) . 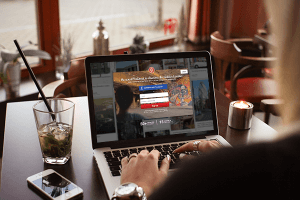 I signed up for Skimlinks using your referral link. Hopefully, they will approve me. Looks like I’ll be waiting a while before I hear anything. I’m excited about trying it, though! I hope they approved you. I’m genuinely a HUGE FANGIRL of Skimlinks! Best tool I’ve ever used and wish I’d found it years earlier. I am new to Affiliate marketing, but I did read that Amazon prohibits the use of link shorteners? It says that the link may not be disguised, i.e. : it must be transparent that the link is to Amazon. Apparently this is deep within the fine print of Amazon. Have you not found this to be true? I think perhaps my articles are getting outdated now, and I should review them. It looks like Amazon have changed their T&Cs regarding link shorteners. In my notes, I have Amazon quoted saying it’s OK to use shorteners. If you use another URL shortening service, you must carefully review the links provided by the service. 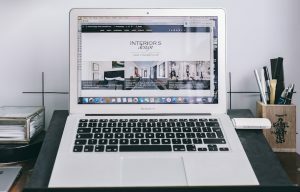 Associates aren’t allowed to frame the Amazon site with any other URL, so if the links you get don’t resolve to the http://www.amazon.co.uk domain in the address bar, you cannot use them in the Associates Program. You will also want to carefully review the links you get to ensure your Associates tracking id is included when then shortened URL resolves to the Amazon page. Bear in mind that you must address any issues with a particular service with the provider of that service and Amazon cannot compensate you for any difficulties you may experience with other shortened URL providers. Also, because of the way shortened URLs function, Amazon may ask you to provide the specific sites on which the shortened URLs are posted and to make any social network profiles on which you post these URLs publicly accessible for verification purposes. So to me, a normal URL shortener like is OK, as long as the final URL points to Amazon.co.uk in the URL bar. Thank you for the practicality of this article. I really needed to see an example. No problem Amy, thanks for commenting. Befor sharing any affiliate link to any social media or FACEBOOK , we need to check about SOCIAL MEDIA / FACEBOOK SHARING is Allowed or Forbidden . If we find out which amazon afiliate product is allowed for SOCIAL MEDIA SHARING / FACEBOOK SHARING . i thnik this information is very useful for this blog readers about how to find out which link is allowed and which one is Forbidden for facebook and social sharing. I’m not sure about this Prathmesh. Good question…. !